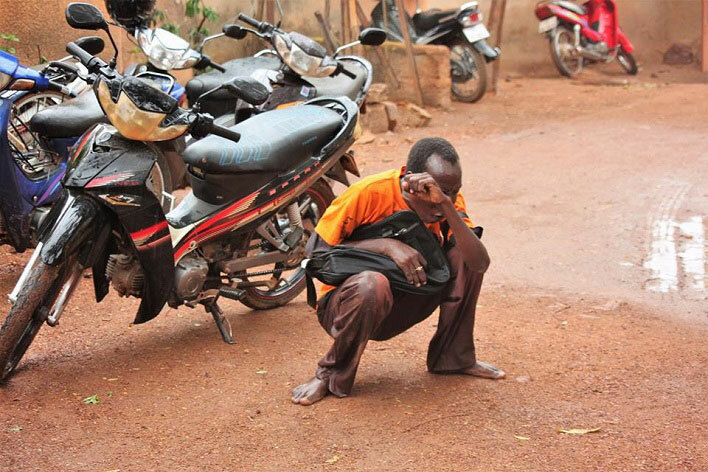 Home > Africa > Burkina Faso > Rural Exodus: A True Master Course! In a large shed, a board on the wall bears this cryptic message “Let people who think they don’t know teach people who think they do.” In that same shed are one-day teachers — some of the poorest people in Burkina Faso — passing on their knowledge to participants. This “Meeting in the Courtyard” addresses the question: Why are we leaving our families? 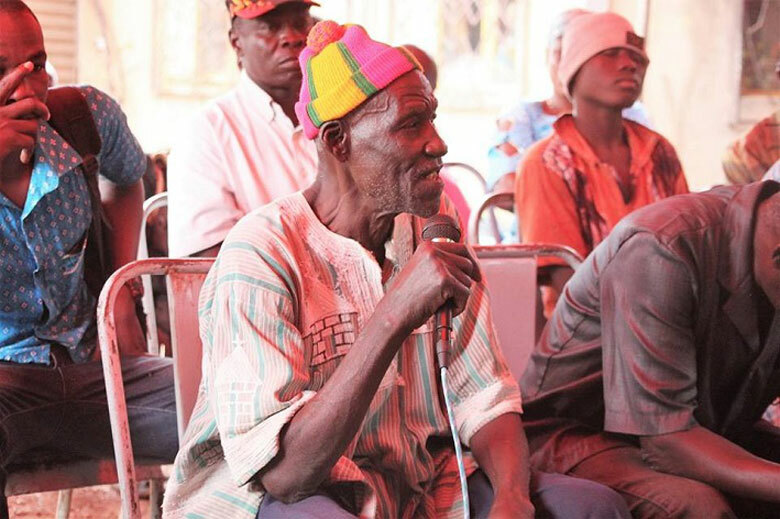 What are the consequences of this rural exodus on today’s Burkina? There are things that need to be said and heard when they have been turning around in people’s heads for too long without any chance being expressed; and then finally an opportunity arrives. That was the case this morning when, in an atmosphere of mutual respect, people were gathered who rarely get the chance to sit down together. Today, under the sheet-metal roof were young people who have spent years living on the streets of Ouagadougou, a director of an organization, women from a squatter settlement near Nagren rural district, a chief of police, farmers from villages in Ganzourgou, women from the Delwende Center, a representative from the Ministry of Social Action, people living in exclusion in their neighborhoods, a journalist from Savane FM, and friends of ATD who helped with translation during the meeting. The statements were prepared during many smaller meetings that allowed participants to talk about experiences that are often painful, to find the right words, and to develop their thinking as they interacted with one another. Then when the day of the meeting comes, there is an outpouring of ideas. There are many consequences for people who leave. “When you arrive in the city, if you find a job it encourages you and you can even send some money back to the village. 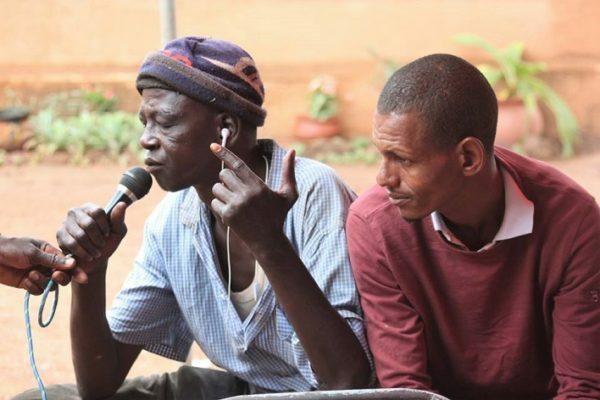 But if that doesn’t happen, you can’t return because you feel ashamed of not being able to provide anything, so you prefer to stay in the city and you go round in circles”, explains Nourou, who has not returned to his village for years. A man facing the same hardship added: “If you live in the city, your heart hardens, you can’t even think of returning home anymore unless something really bad happens. At the beginning you don’t have time to worry about the people you left behind; all you can think about is what you came to find. You no longer notice time passing, until the day you realize that a lot of time has gone by, and then it’s often too late.” The atmosphere in the shed is heavy as each person is struck by the depth of what is being said and the efforts that participants have made to dare to speak in public. Jérôme, a child from the village lost in the city. Finally, several participants offer up their ideas of how to keep dynamic energy in the villages, such as increasing the number of dams so that young people could do some market farming during the dry season, setting up youth clubs where they could get together and participate in cultural activities, creating professional training centres, etc. These meetings allow us to believe, even in these times when we fear our society is in danger of being torn apart, that we can resist violence and prejudice by constantly trying to connect with other people, beginning with someone whose life bears little resemblance to our own.